We ask all alike to think — not all to think alike. Elaine Tyler May is Chair, Department of History, Regents Professor, Departments of American Studies and History, University of Minnesota. Gary is an author who has written books on the mining history of northern Minnesota and Michigan. He lives on the Iron Range. Join us for our traditional celebration of Spring ... a special morning of intergenerational music and sharing. Look for another performance of the Pilgrim House Chorale, and more. If you have special music or a reading you’d like to share, please contact Mel Aanerud or Bill Rohde by April 14th. Join us for a spring brunch following the program. We’ll need a few sign-ups at Pilgrim House for entrees, fruits and breads. All are invited for food, fellowship and celebration. Don’t miss it. See you there! The Children’s Defense Fund (CDF) is a non-profit child advocacy organization that has worked relentlessly for more than 40 years to ensure a level playing field for all children. They champion policies and programs that lift children out of poverty; protect them from abuse and neglect; and ensure their access to health care, quality education and a moral and spiritual foundation. Supported by foundation and corporate grants and individual donations, CDF advocates nationwide on behalf of children to ensure children are always a priority. Minnesota Executive Director Bharti Wahi will discuss local policy issues that affect children’s well-being that are currently under discussion at the MN Legislature. Join Rachel Carter, intern minister at the Unitarian Universalist Congregation in Eau Claire and U.S. Army veteran, as she talks about her journey and advocacy work with military sexual trauma and Post-Traumatic Stress. Rachel Carter is the intern minister at the Unitarian Univeralist Congregation in Eau Claire, Wisconsin and a second year seminary student at Iliff School of Theology. She has been an active advocate regarding Post-Traumatic Stress, Military Sexual Trauma and invisible disabilities. She served as a broadcast journalist assigned to Armed Forces Network-Korea as well as the Wisconsin National Guard. Rachel identifies as a person with multiple disabilities, including Ehlers-Danlos Syndrome, Postural Orthostatic Tachycardia Syndrome, Dysautonomia, and Fibromyalgia. She will be presenting at this year’s General Assembly in Spokane, WA on Dis-Abilities: A Discussion on Inclusion, Accessibility, and Identity. #MeToo was founded in 2006 to support sexual violence survivors. Tom will discuss how men are responding and dealing with the #MeToo movement. The program will be followed by lunch and the Pilgrim House Auction. Mike Miles and Barb Kass have been social justice activists and sustainable farmers for more than 30 years. He has run for Congress, been arrested for protesting nuclear installations, run a sort of collective in WI and focused on really interesting sustainable farming methods for many years. Here’s a video with Mike that helps explain: https://www.youtube.com/watch?v=4sfQl6GBvY0. Diane Wilson is enrolled on the Rosebud Reservation and serves as the outgoing Executive Director for Dream of Wild Health, a non-profit farm in Hugo, MN, that reconnects Native people with indigenous foods and medicines. Wilson is the author of two award-winning books that focus on issues of assimilation, historical trauma, and cultural recovery: Spirit Car: Journey to a Dakota Past; and Beloved Child: A Dakota Way of Life. Wilson received a �50 Over 50� community leadership award in 2018, and a Bush Foundation Fellowship in 2013. Det Norske Folkedanslaget (The Norwegian Folk dance club) enjoys sharing the folk dance and music traditions of Norway, and has been dancing and performing since 1956. The group is currently directed by Carol Sersland, whose immigrant father ran the dance groups before her. Dances include waltz’s, polka’s, village dances, song dances and more, and are performed in traditional bunads and peasant costumes from different parts of Norway. Lori Sturdevant is back at Pilgrim House with her new book co-written with former Senator David Durenberger. Lisa Baker is the Program Manager of the Ralph Reeder Food Shelf. Get an in depth look into the mission of the Ralph Reeder Food Shelf and the programs and services they provide to meet the growing needs of our food insecure neighbors. Discuss the changing face of hunger, the need for greater awareness, and the opportunity that each of us has to make a real difference. Journey down these incredible rivers through videos with original music by Stillwater singer/songwriter, Peter Mayer. This book, with a foreword by Vice President, Walter F. Mondale, celebrates the 50th anniversary of the signing of the Wild and Scenic Rivers Act, co-sponsored by then-senator Mondale. Craig Blacklock is one of the country’s most distinguished nature photographer, widely published with 18 books, and the recipient of numerous awards, including the 2018 George Morrison Award. Craig has been sharing this program with standing-room-only crowds throughout the watershed. He will have books available for purchase at the program. More information at https://stcroixphotography.com/. February 10 – Jeannette Rankin, first U. S. Woman member of Congress presented -- by J Emily Peabody. Jeannette Pickering Rankin was an American politician and women’s rights advocate, and the first woman to hold federal office in the United States. She was elected to the U.S. House of Representatives by the state of Montana in 1916, and again in 1940. She remains the only woman elected to Congress from Montana. She was elected before the women’s right to vote amendment and challenged injustice at every turn of her 93 years. It’s been six years since Lisa’s previous PH program on writing letters to the editor, and she’s back with updates to encourage our participation in the conversations of the opinion pages. This program will take a fresh look, and emphasize different aspects of letter-writing than last time. Come get recharged and contribute your voice to help shape social discourse! In every culture on the planet, people make sound together as a way to work cohesively, affirm connection, build courage, and cultivate joy. In a dominant culture that over-emphasizes the individual, many of us never experience the power of belonging and sense of flow that comes from joining with others. See the TED talk https://www.youtube.com/watch?v=Ze763kgrWGg&authuser=0. Barbara McAfee is a voice coach, singer/songwriter, keynoter, and author who merges lessons from 12 years in organization development with the transformative power of sound. We live in a fast-paced, materialistic, narcissistic culture. To grow up to be whole, compassionate, empathetic adults, children need attention, guidance, support, interpersonal and communication skills, self-esteem, and awareness of the needs, feelings and backgrounds of others. Mike will discuss the effects of the current Empire consciousness of the American culture on children, and how to help children move to the Oneness consciousness of respect, acceptance, responsibility, kindness, and maturity. Dr. Michael Obsatz is Professor Emeritus at Macalester College in St. Paul. Mike taught sociology and education courses there for 40 years. His book, "Raising Nonviolent Children in a Violent World," won the Minnesota Book Award and the Catholic Press Association Award in 1999. His documentary film about mentoring boys called "Journeyman" won two film festival awards and has been viewed by 3 million people on PBS and elsewhere. Presented by Mina Adsit and volunteers. The planned program for this date, Unions, was cancelled due to illness. Through music and readings, pianist/composer Larry McDonough and saxophonist/writer Richard Terrill recount the legacy of the Minnesota senator and champion of social justice. Saxophonist and writer Richard Terrill is the author of two collections of poetry, and two memoirs. He is Professor Emeritus at Minnesota State-Mankato. Larry McDonough is a St. Paul jazz pianist, singer and composer. His new CD with the Larry McDonough Quartet is Alice in Stonehenge and Other Accoustelectric Adventures. For fifteen years now Richard and Larry have been performing at UU congregations throughout Minnesota and western Wisconsin. This is your opportunity to tell us about your favorite photograph. We will project your photo on the screen and you will have several minutes to tell about the image. Each person can share up to three photos. If you would like to be part of the program, email photos (.jpg file) to Les Rogers by December 23. Contact Les if you have questions or need technical help. December 23 – Pilgrim House Holiday Celebration! Please join us for our always-special intergenerational PH holiday program, complete with group caroling, favorite holiday readings, seasonal music, a performance by the PH Chorale, a special guest (possibly from the far north), favorite foods, and more. Contact Bill Rohde or Mel Aanerud by December 16th if you or the youth in your household have special music or a reading to share. And don’t forget to bring that favorite holiday food for our traditional potluck finger foods feast after the program. See you there! Continuing our series of bringing in moderates to talk with us; Tom Horner was Press Secretary for Senator Durenberger and was the Independent Party candidate for Governor in 2010. 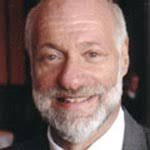 Professor David Schultz is from the Hamline and University of Minnesota Schools of Law. He is the author of 30 books and 100+ articles on various aspects of American politics, election law, and the media and politics, and is regularly interviewed and quoted in the local, national, and international media on these subjects. He is a recurring speaker at Pilgrim House and will speak about the results of the 2018 election. For older programs see Older Programs.